Description: This section of the trail runs along the north side of Greeley’s newest park, the Poudre Ponds Recreational Fishery. The trail here is essentially level and has nice views of the river to the North and views of the ponds to the South. This area along the Poudre river includes a parking area with a restroom. Features: Poudre Ponds Recreational Fishery: The City of Greeley invites you to enjoy this unique park that has been funded in part by Colorado anglers through the Colorado Division of Wildlife’s “Fishing is Fun” program and the Federal Sport Fishing Restoration Program. It has taken nearly four years to realize the goal of creating a public recreational fishery that would benefit the community by keeping anglers close to home. In addition to the parking area and the restroom, this area includes a boat ramp, picnic areas and ADA piers. Boating is allowed for gas-free boats less than 17 feet in length. Boating and fishing permits are required. Geology: The lakes in this area have been lined to prevent water moving between them and the river. The City of Greeley uses these ponds to store water to meet demands of downstream users. 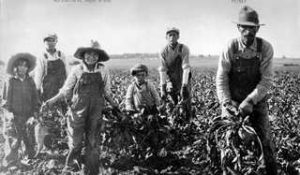 History: In the 1920s the Great Western Sugar Company created 13 “colonies” as a place for the farm workers to live and raise their families. 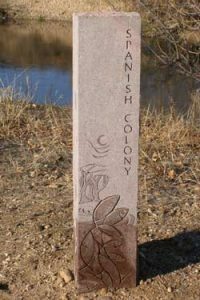 The “Spanish Colony” section of the trail is named for one of these original colonies which is just north of the trail at the intersection of O Street and 25th Avenue. The workers built small adobe homes on this site. Some of the original homes are still standing.